We now know that permanent hair removal really is possible: hair growth can be significantly reduced and eventually even completely halted. This can be achieved in a safe and efficient way. We can target undesirable hair growth almost anywhere on the body. A complete treatment trajectory involves approximately one treatment every ten weeks and consists of 4 to 8 treatments. This may vary slightly depending on hair colour, constitution of the client, and other factors. Some clients may choose to have only one treatment per year so they can enjoy a carefree holiday in the sun. Even then, the undesired hair growth eventually becomes less of a problem. Each treatment is followed by a period during which hair grows very slowly, falls out and sometimes stays away for weeks. When the hairs do grow back they are usually softer and thus cause less irritation during shaving. Discover that it really is possible! We will do a free test on a trial area or even a series of trial areas. If you persevere and continue to have treatments, then it really does eventually happen: no more red bumps, no more inflamed and ingrown hairs, no more stubble or irritation. Rather, you can feel comfortable wearing swimwear, playing sports, and so much more, in the quiet confidence of knowing that your skin is soft to the touch and unattractive hair growth is no longer visible. If you would like to know if our treatment program for permanent hair removal is suitable for you, we would like to invite you for an extensive intake appointment. This will allow us to test the various methods on the area(s) that you wish to have treated. In this way we will discover the most effective settings on our equipment for your personal situation. It will also guide us to the settings needed to facilitate the elimination of hair and and will reveal how your skin will react to the treatment. 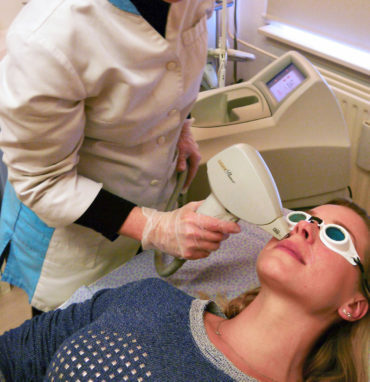 Consequently, this testing proces is very important for a succesful hair removal program. We will discuss both the results and potential side effects, so that you are well aware of both the benefits and possible risks assosiated with this treatment. We will also prepare a cost estimate and provide you with all other pertinent information. Three weeks after the intake appointment we will contact you to evaluate the results and schedule an appointment should you decide to begin the treatment trajectory. If you have any questions, please do not hesitate to call us or send us a message. We are looking forward to answering your questions! Read more about the different hair removal techniques or go to the intake appointment page. Would you like to schedule an appointment right away?